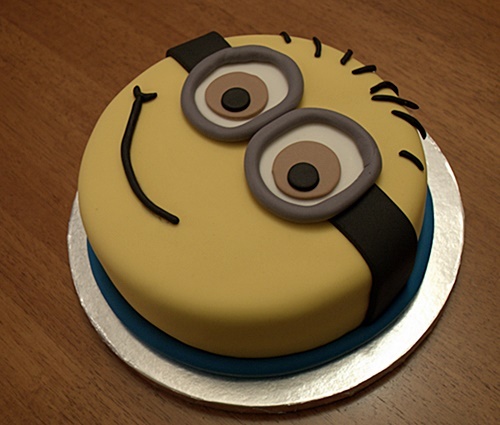 What a cute, fun cake this was to make. Simple chocolate two layer cake with chocolate buttercream filling. Sometimes these seemingly easy cakes are the hardest for me. Not this one though. It turned out exactly like I wanted and it didn’t take twice as long as I thought. 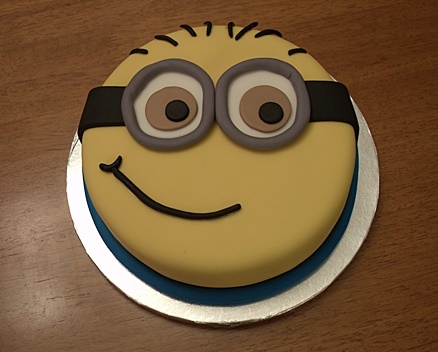 The little guy I made this for turned two and loves Minions. His mom sent me a picture and his face was just priceless. It was great to see him enjoying it so much.